After a long career in movies, the great director Sidney Lumet passed away on April 9th this year. A director of a unique filmmaker that combined documentary style with a true understanding of the power of the script and performers, Mr. Lumet made a number of masterpieces, including 12 Angry Men, Network, and The Verdict. 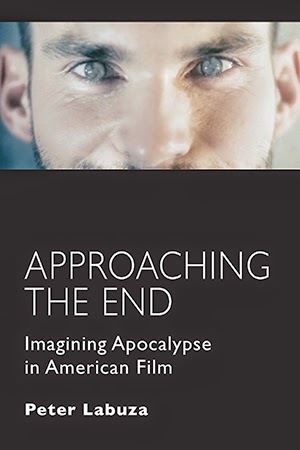 This reprint of an essay I wrote in 2009 revisits perhaps the best film Mr. Lumet directed, Dog Day Afternoon. I recently sat down with one of my very good friends to rewatch Dog Day Afternoon, the 1975 thriller about a Brooklyn bank heist gone wrong starring Al Pacino and directed by Sidney Lumet. 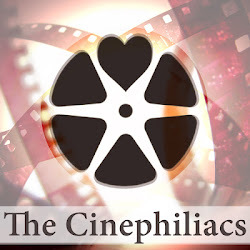 I had chose the film because my friend often remarks that his favorite film is Spike Lee’s 2006 bank thriller Inside Man, which has many homages to Dog Day Afternoon. But as I watched the film again, something struck me that the films had more than a ban heist at their core—both films are about the control and taking of power. Who has power? How does power switch? What are the tools of power? Dog Day Afternoon is truly one of the greatest films to come out of the 1970s. With its authentic Brooklyn location and utter intensity, not a single false moment rings through the film. The film opens with a montage of shots of Brooklyn in all its detestable glory. The town is dirty—dogs roam the street, trash is everywhere. 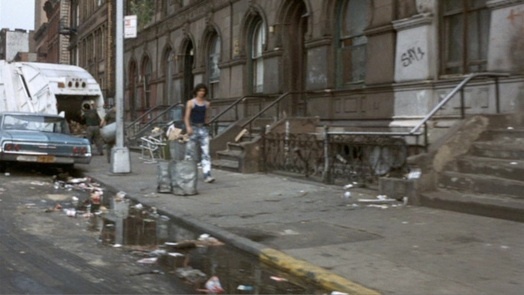 Also look at how Lumet chooses the shoot these scenes—he gives us a horizontal New York. Think about the opening shots of Robert Wise’s West Side Story—those high vertical shots that give such a structure of power. Lumet puts us right into the action, the real New York where people actually have to live and work. 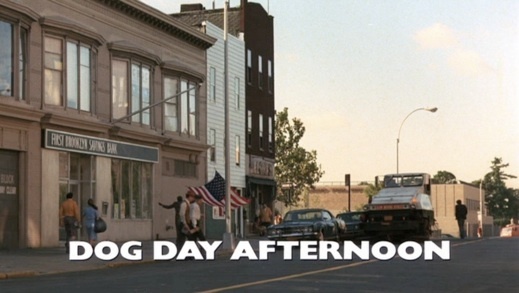 Interesting enough though is that Dog Day Afternoon is not just a well-written script—its based on events that actually happened in New York in 1972. The convenient use of Elton John’s “Amoreena” helps set the stage. 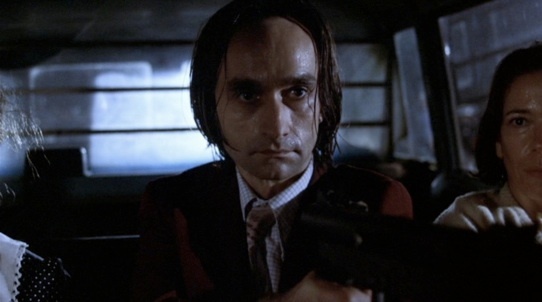 Part of Lumet’s game with Dog Day is to provide an extreme realism to the story—he has no music besides that opening number, and many moments of the heist, nothing is really going on. But there are liberties (the man who Sonny Wortzik’s character is based on, came out against the film, though hailed Pacino’s performance), and it helps because much of what Lumet does is give New York a playing role along Pacino. In one of the film’s many bravura sequences, the cops surround the building and run into position, while crowds quickly gather and news reporters with their gigantic sized camera and helicopters swarm in like flies. The people play as much as a part in the film, which brings me back to my original idea about power. When Sonny, and his partner Sal (played with such daring precision by the late, great John Cazzale) enter the bank, they seem lost and unsure of what to do (watch how Pacino flusters as he pulls out his rifle). When the building is surrounded, Sonny gets scared, and Sal starts talking mass murder. The massacre at Attica prison in 1971 was still fresh in the mind of New Yorkers even in 1975. It went down as a moment of true police brutality in which police shot at a prison riot, killing the innocent with the guilty, and resulting in 42 deaths. Sonny screams Attica, and the people respond. Are the police about to let eight young innocent ladies die? Sonny gets them to put their guns down. What may have been the biggest shock to audiences at the time though, is that Sonny is a homosexual. Lumet and screenwriter Frank Pierson (who also wrote the Hollywood New Wave classic Cool Hand Luke) play it so Sonny is heterosexual—we have two scenes with his wife, and Sonny asks to bring his wife down to the scene. When a man named Leon (Chris Sarandon) shows up, the eyebrows rise. The police interrogate Leon, which Lumet allows to go on, and on, and on. He needs to convince the audience to believe that Al Pacino, who at the time is already considered one of the finest actors of his generation after The Godfather films, that he could be a homosexual. It’s a quiet scene, but Sarandon’s short but wonderful performance sells it. Consider how when Sonny and Leon speak, it is immediately followed by a scene where Sonny speaks to his female wife. The first conversation is intense but intimate; the second is simply a bother. 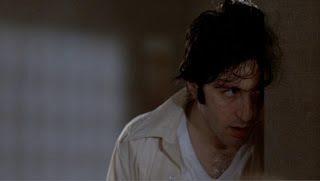 As Dog Day Afternoon progresses to its thrilling climax, Sonny and Sal continue to hold power, even as the FBI comes in. But once they leave that small block in Brooklyn, they enter a whole different realm. Those shots at JFK airport dwarf the men. Lumet has the plane come right behind the car to show how big the plane is to their small car, and the engines roar over any dialogue that might be said. They are no longer in control, and their power, with the press and curious watchers gone, has diminished, and they are doomed to fail. Sidney Lumet has always been an interesting character, because he came in near the end of the Hollywood system but its hard to describe him as a New Wave director like Arthur Penn or Norman Jewison. Lumet, who began with live television, and a debut feature that took place only in a single room (12 Angry Men), has always been one for staging and performance. He places Dog Day for the most part in a single room of a bank, he lets his characters grow, and move around, and feel authentic. His other films of the time like Serpico and his best film Network, have this same authenticity. He works with silence and spaces, and while some may write off his camerawork, look at how he captures Sonny alone, or the intensity of the editing when the gunshot accidentally goes off. To show power, Lumet only uses vertical shots to show a relationship; otherwise he keeps it eye-level and how we experience it. For most of this essay, I have avoided speaking of Pacino’s performance. 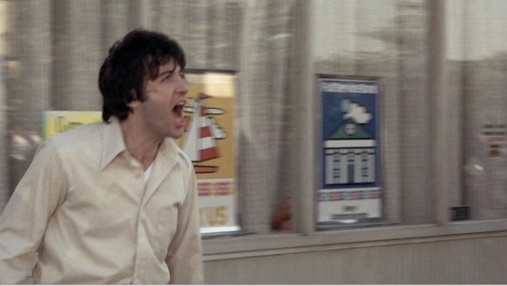 That being said, Pacino has given some of the most iconic performances of all time in cinema, but Dog Day Afternoon is simply his best. He captures the essence of a character who is scared to death, but has to act strong at every moment. The calm fear he has when he has one of the secretaries write down his will is brutal. But what Pacino does best in Dog Day (along with many of his roles), is get us to sympathize with a man who is not particularly a good man. Sonny has problems—he’s angry, he’s almost psychotic, and he’s dangerous. But Pacino makes it OK to like Sonny, because he’s charming, he gives Sonny a sensitive side when he doesn’t necessarily have to. He creates someone that is human, and in a film that is about a real person in a real city, humanity is what keeps the world grounded.